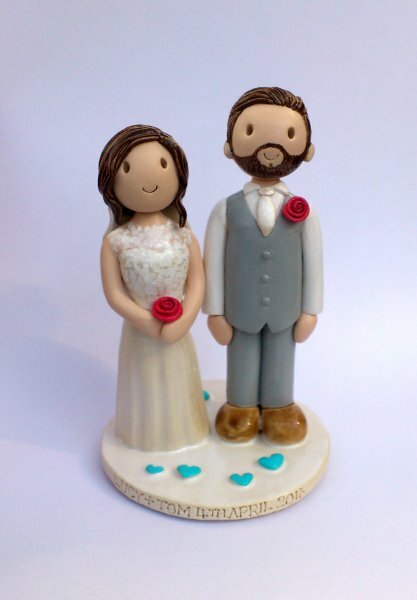 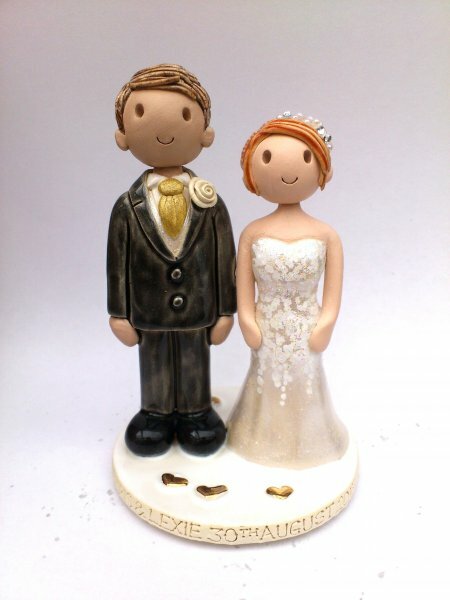 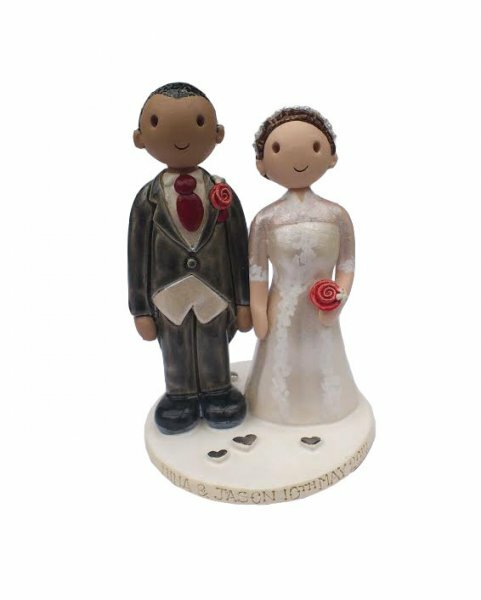 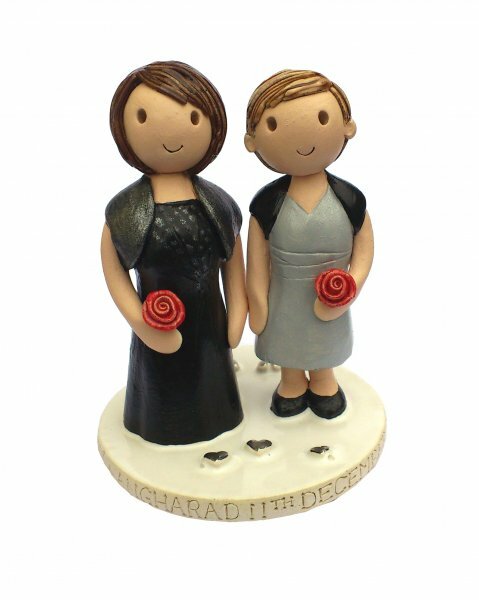 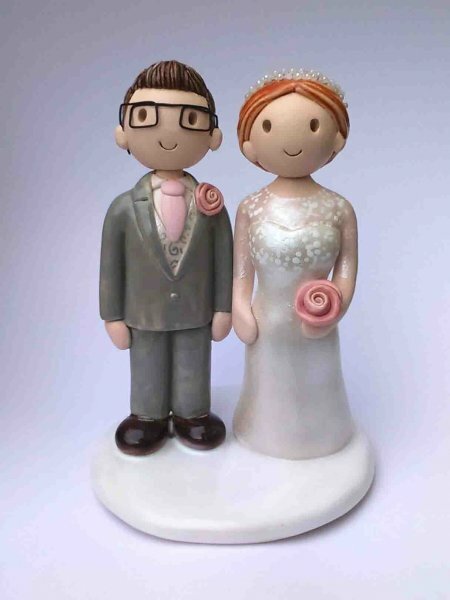 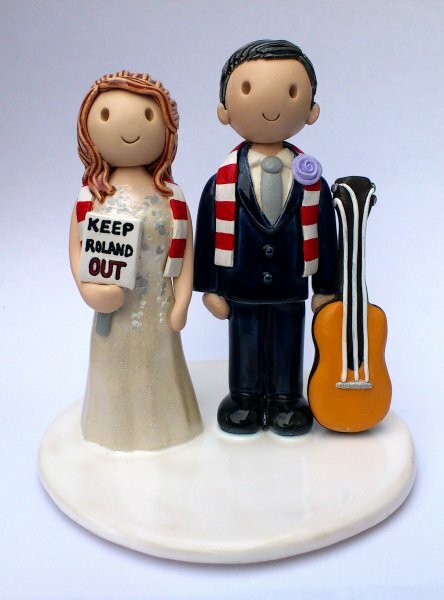 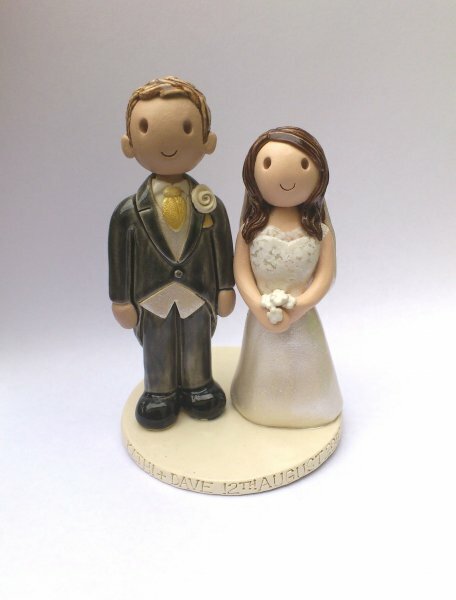 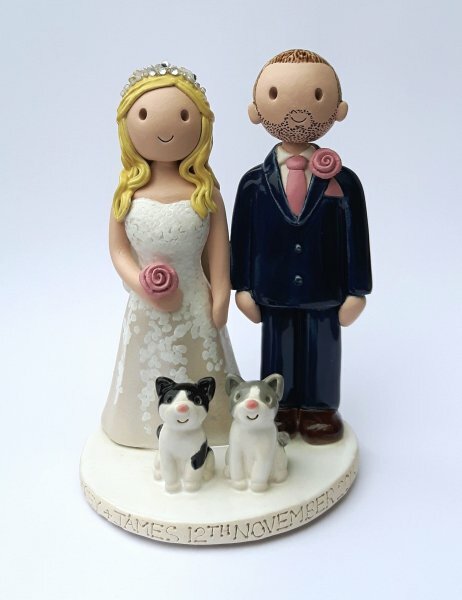 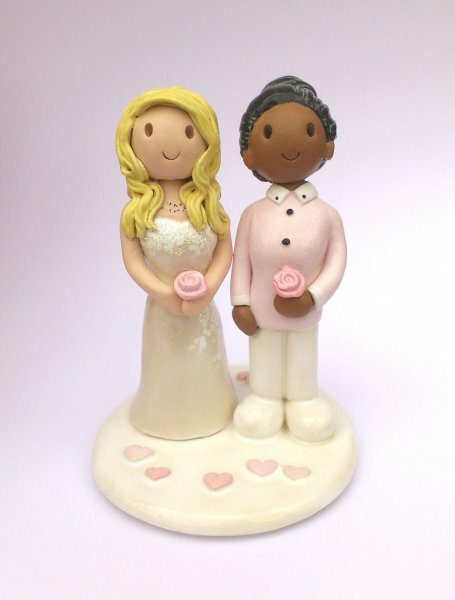 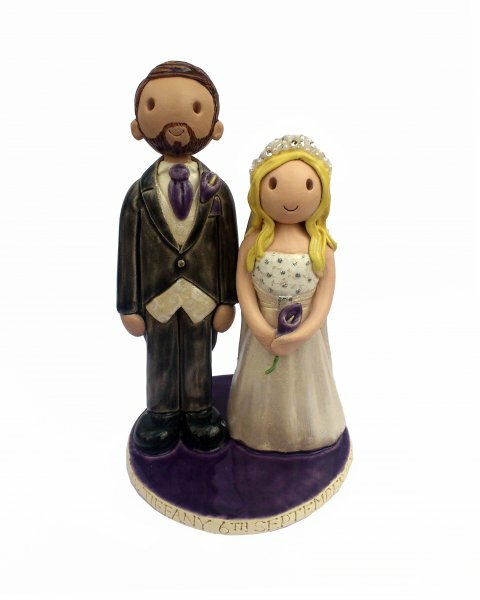 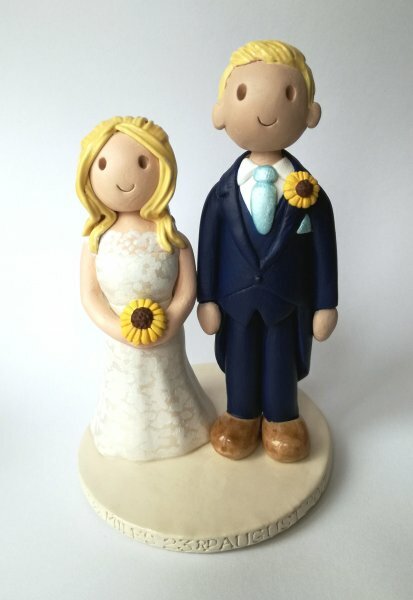 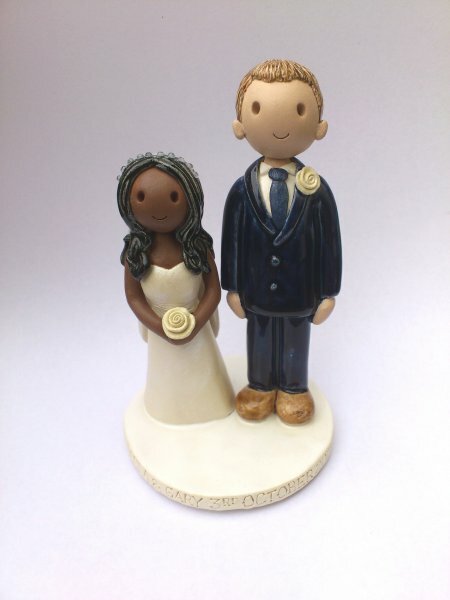 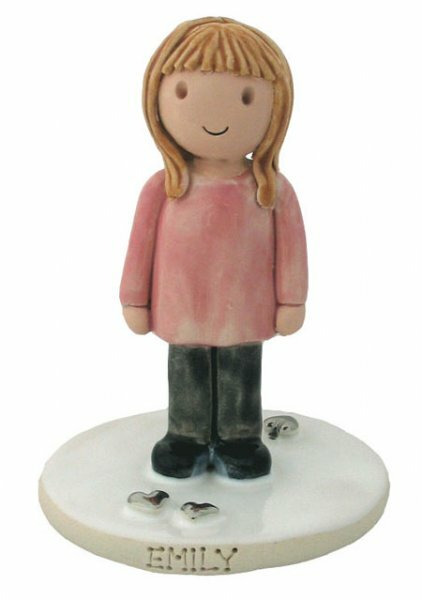 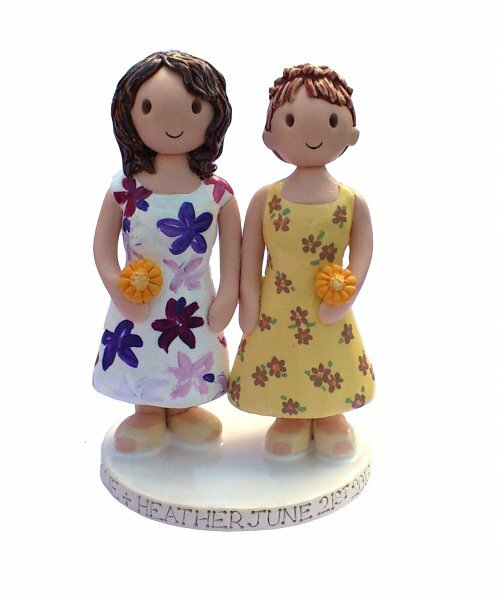 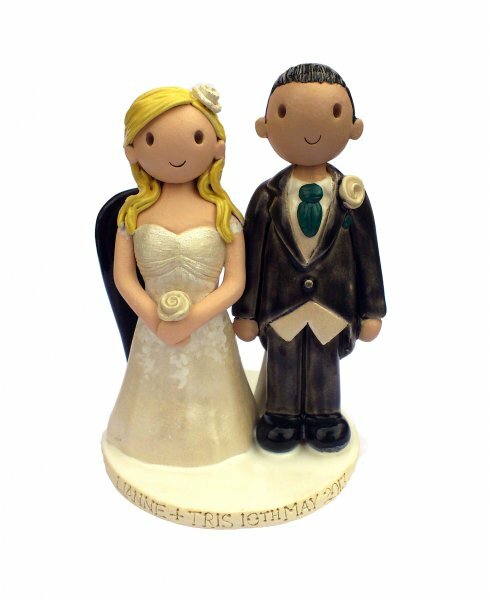 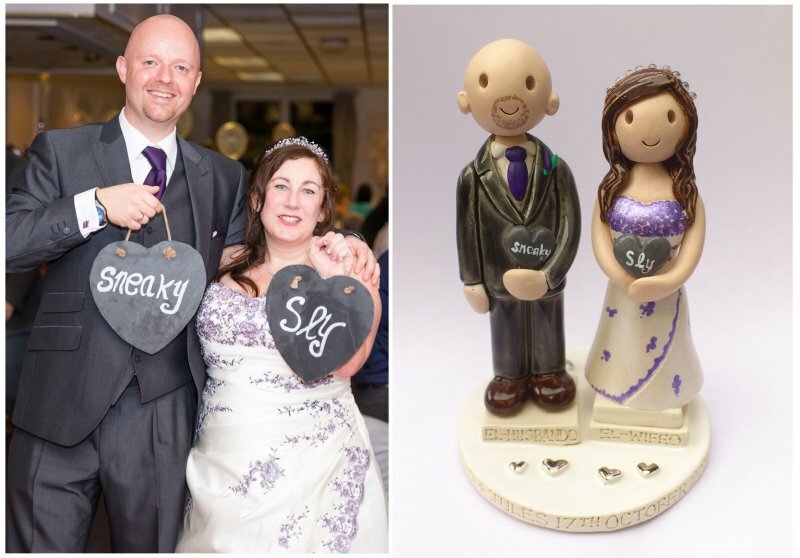 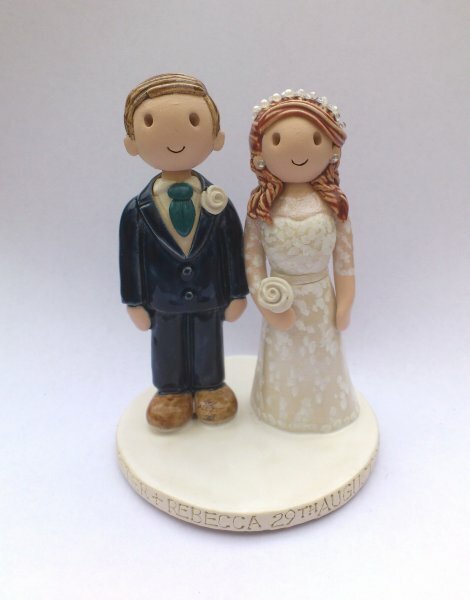 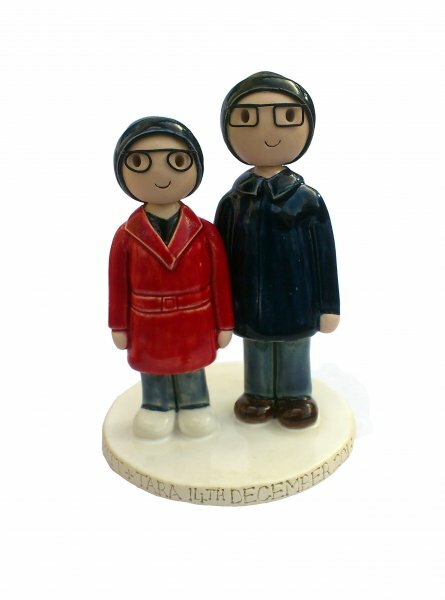 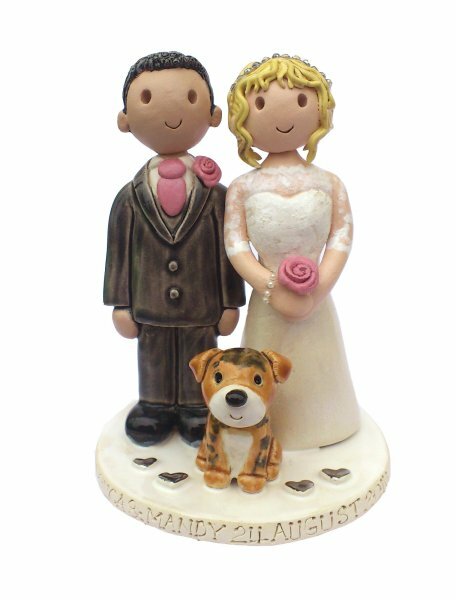 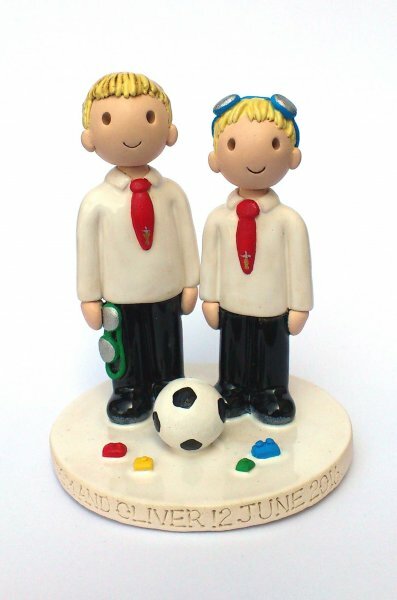 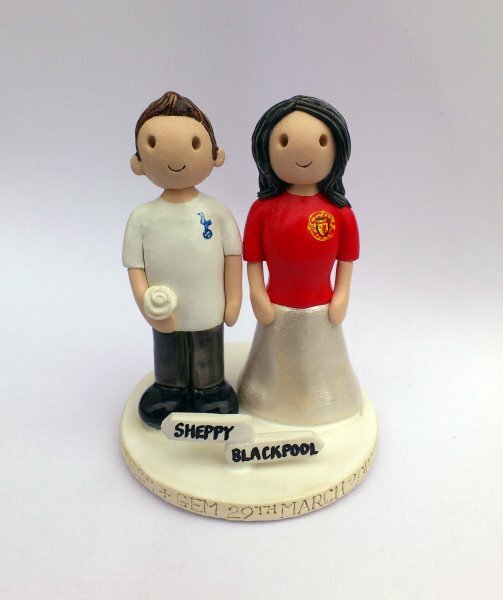 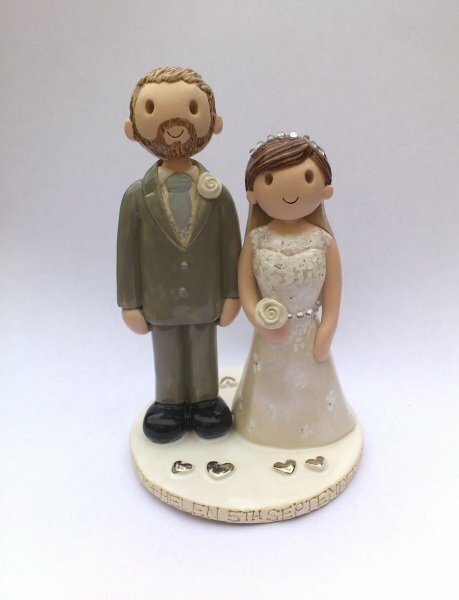 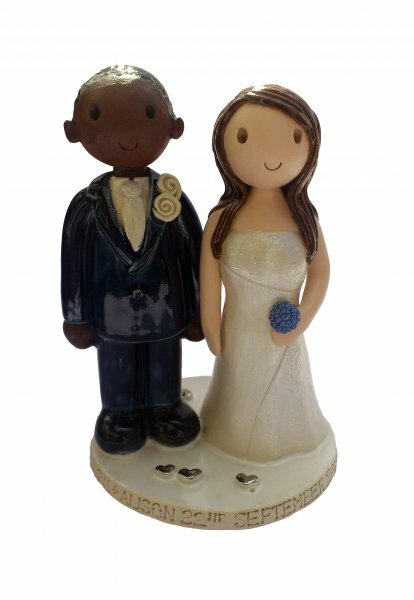 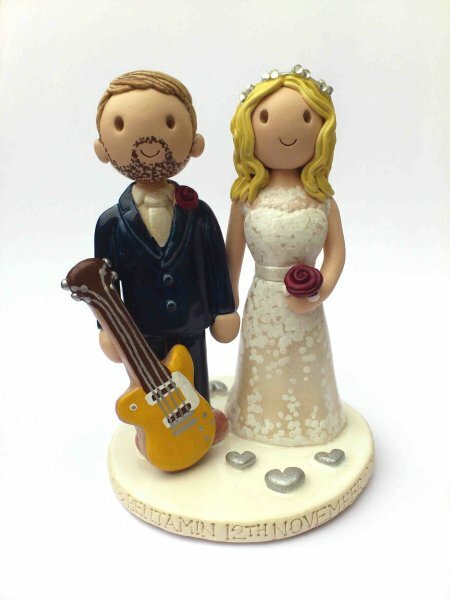 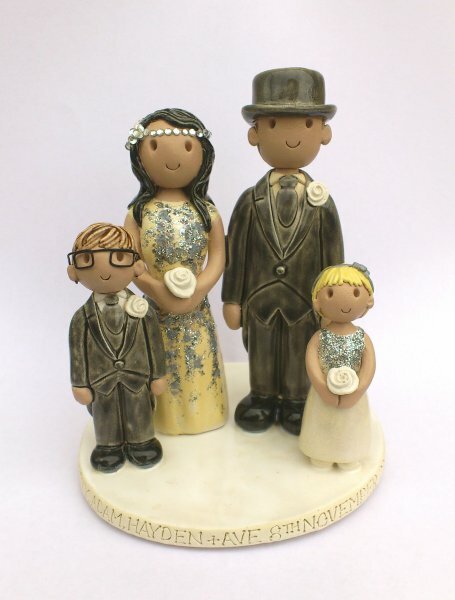 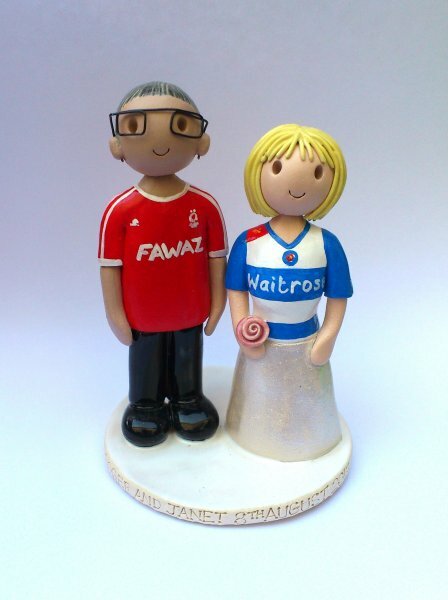 Personalised ceramic cake toppers for Weddings, Civil Partnerships, Christenings, Birthdays or any other occasion. 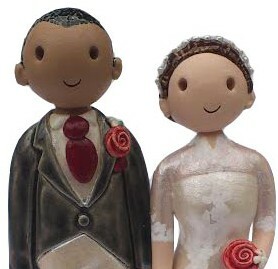 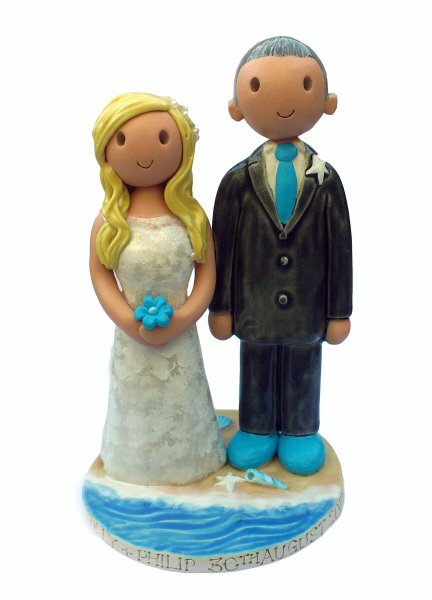 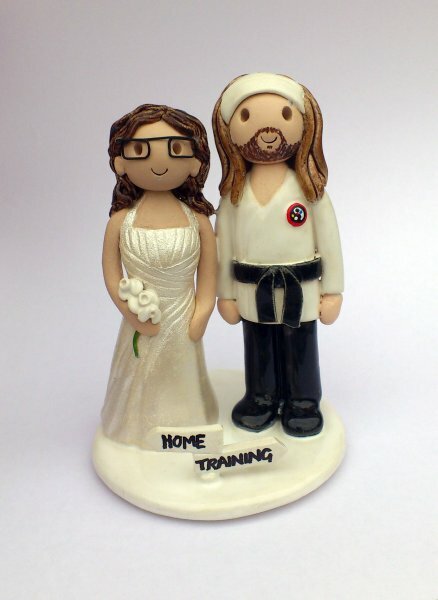 Our cake toppers are hand crafted from kiln fired earthenware clay, and are personalized to match you. 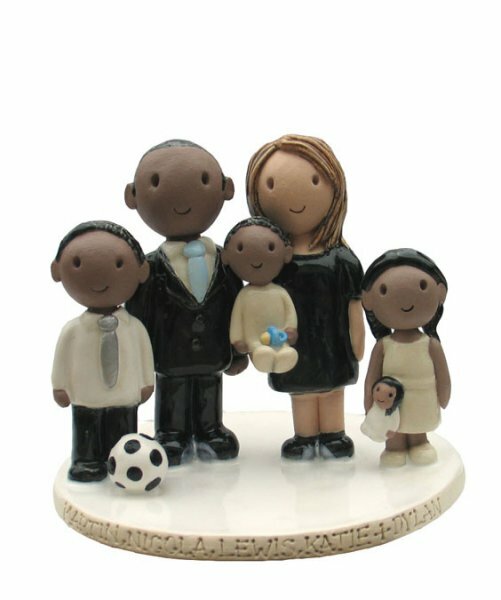 As many details as possible are made to look like you, your clothes, hair, skin colour and other features unique to you. 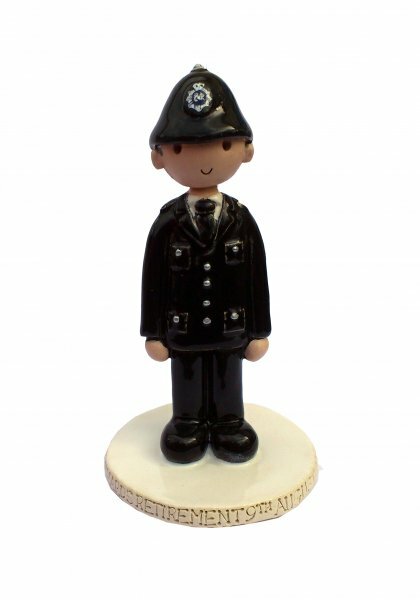 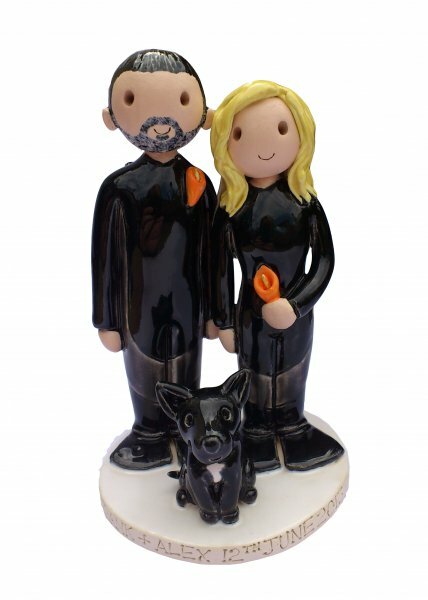 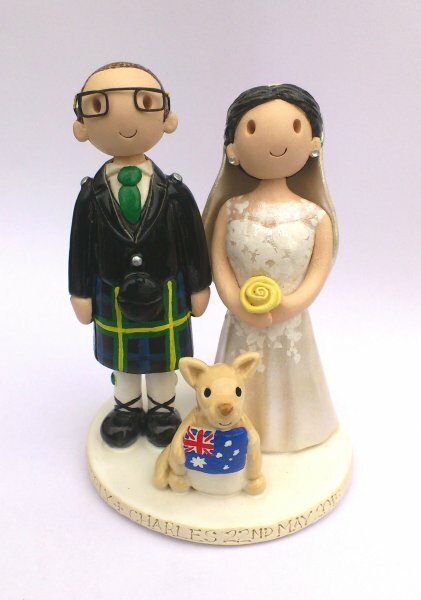 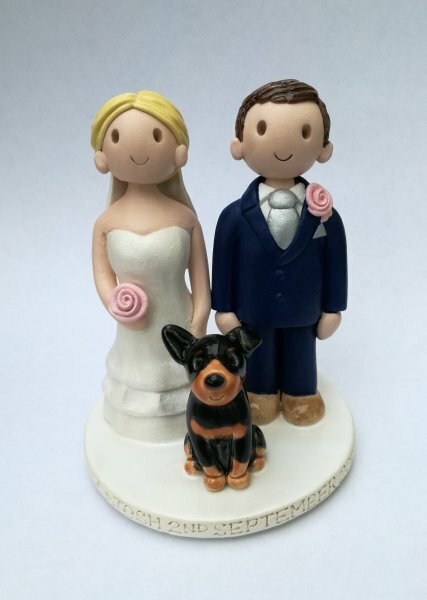 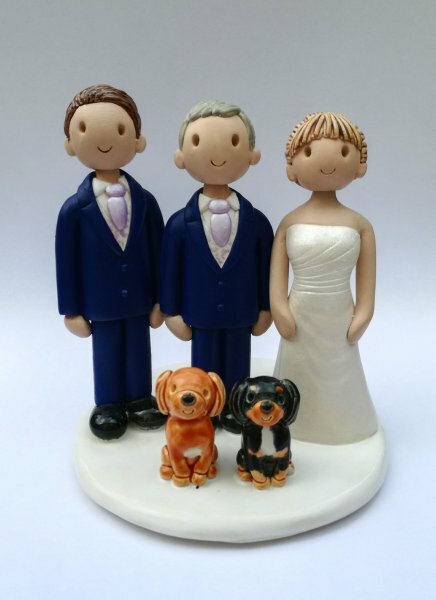 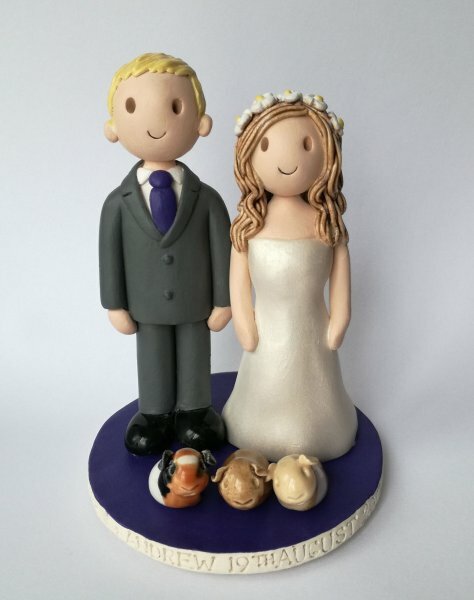 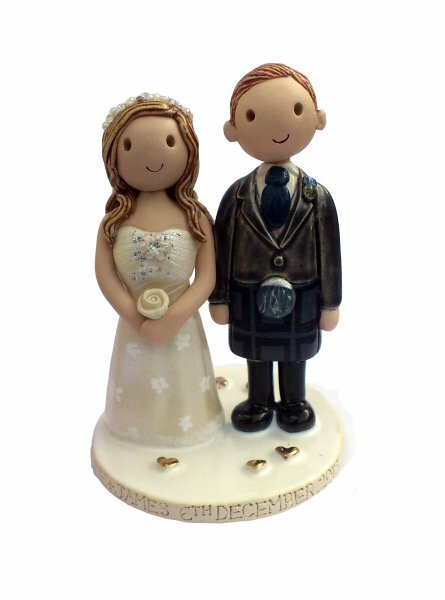 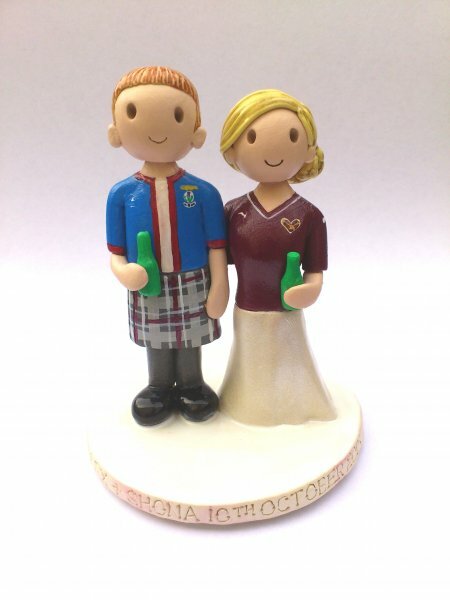 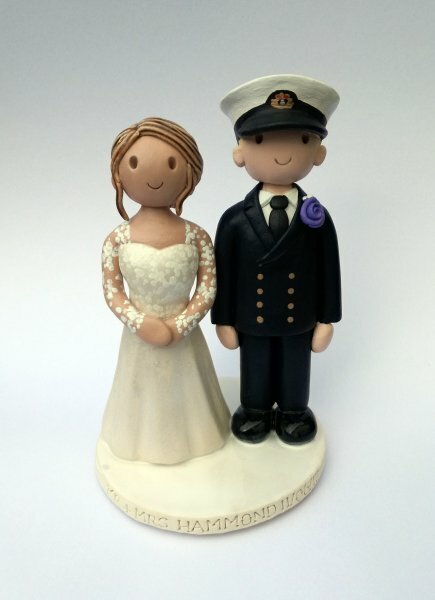 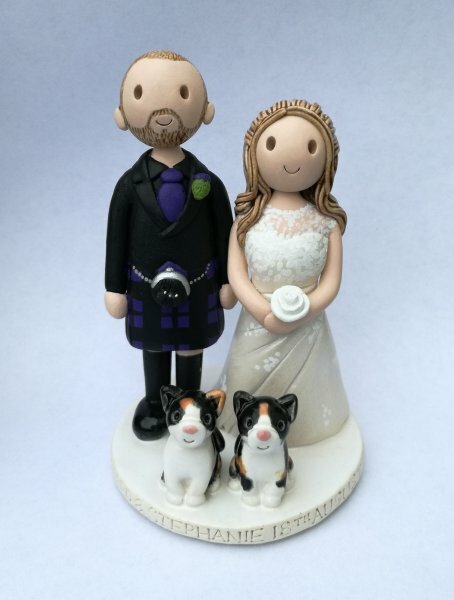 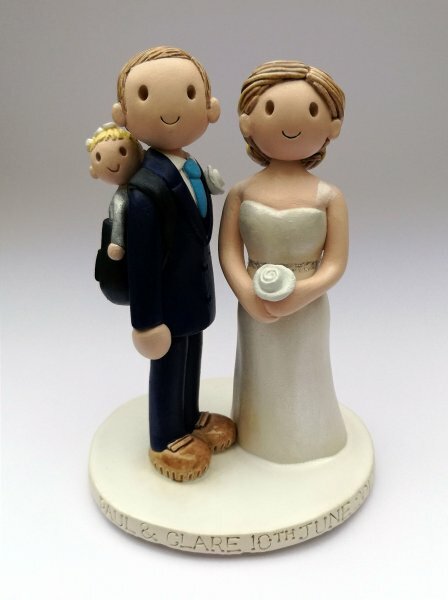 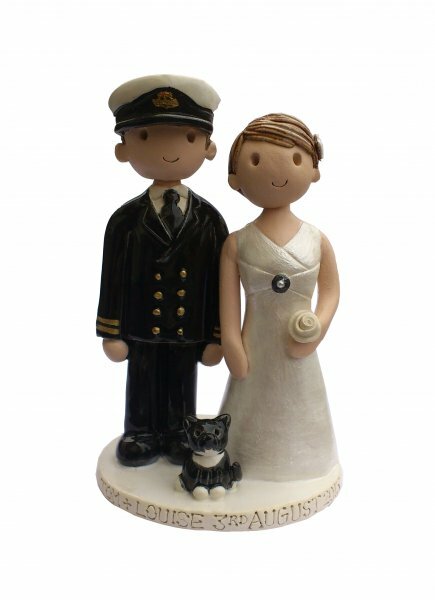 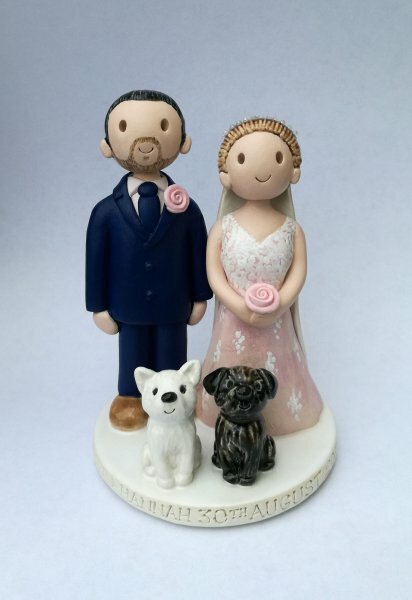 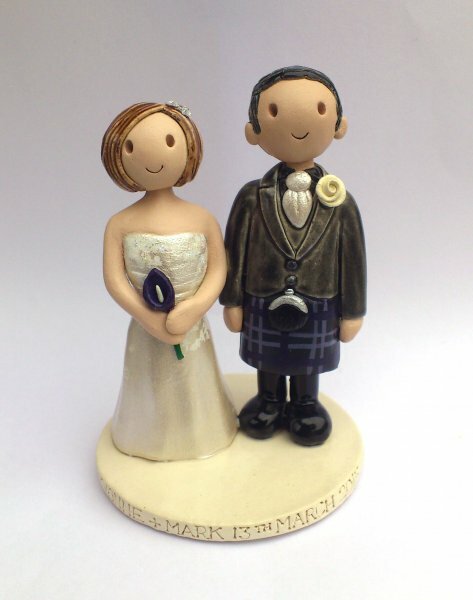 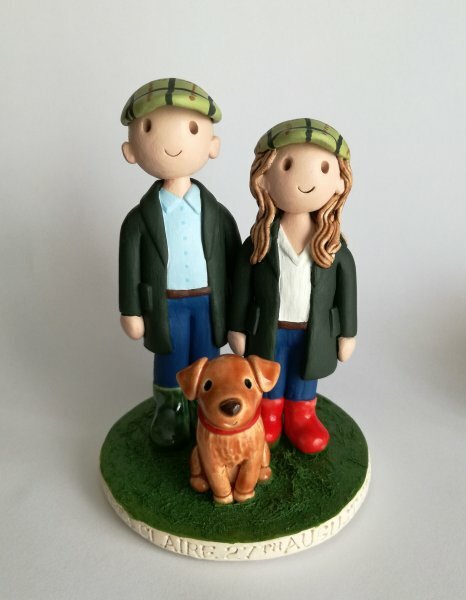 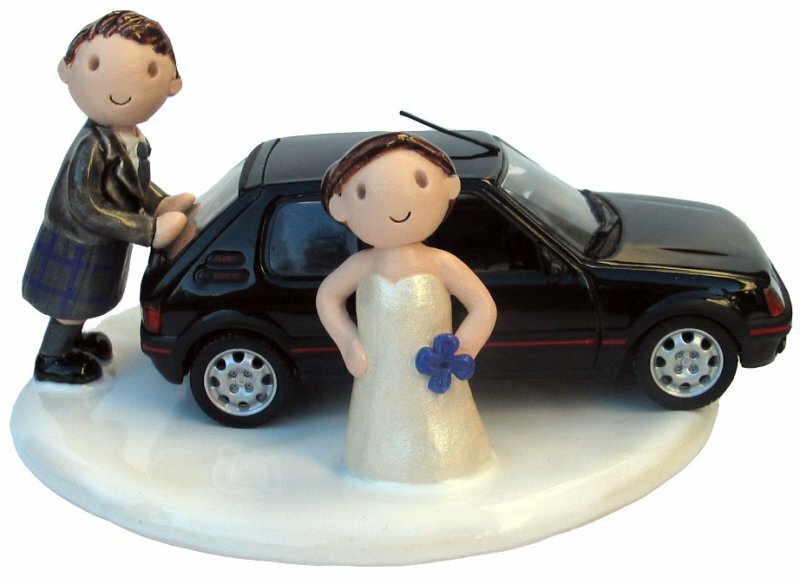 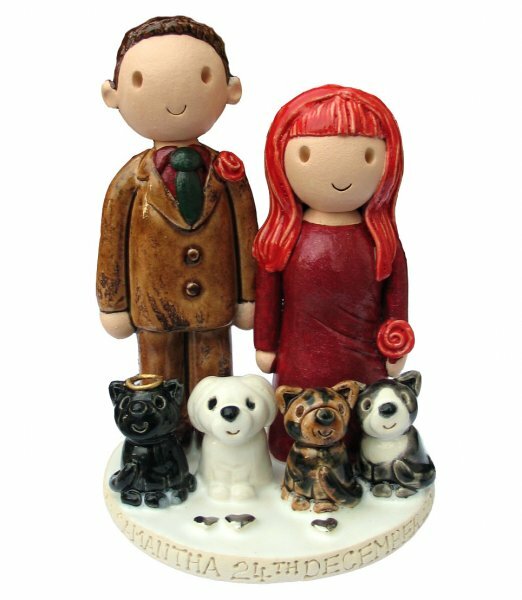 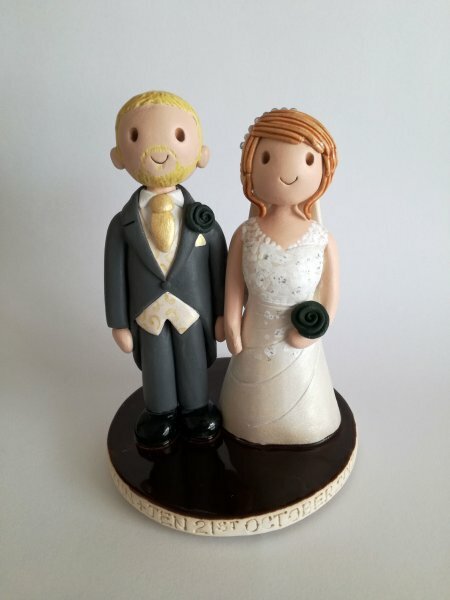 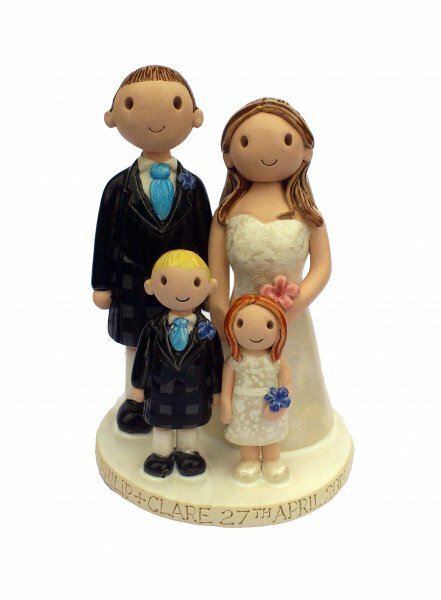 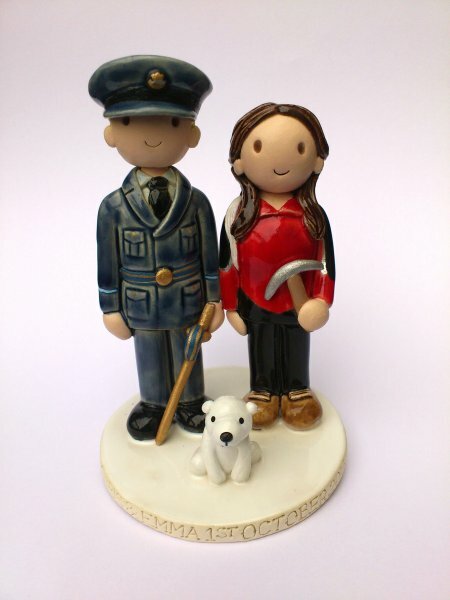 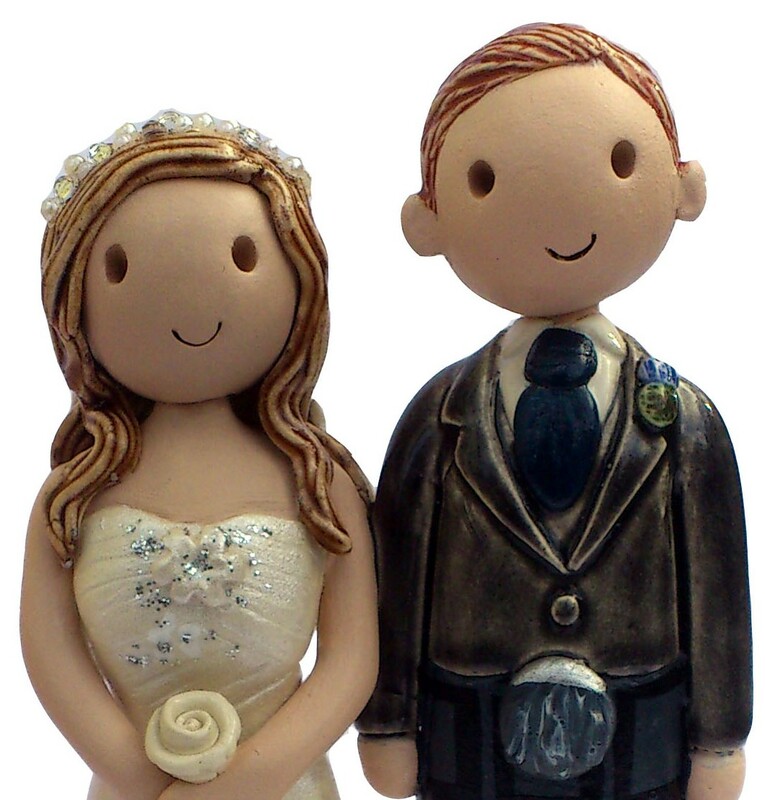 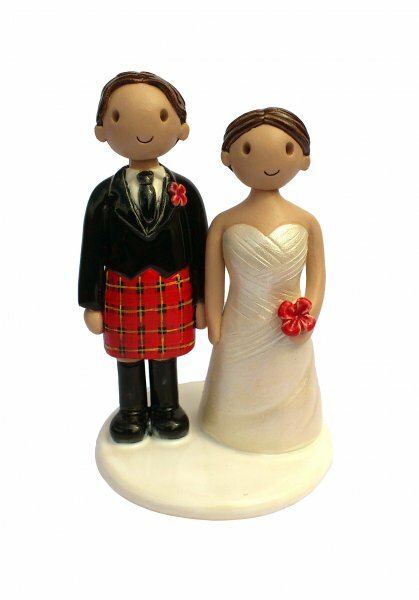 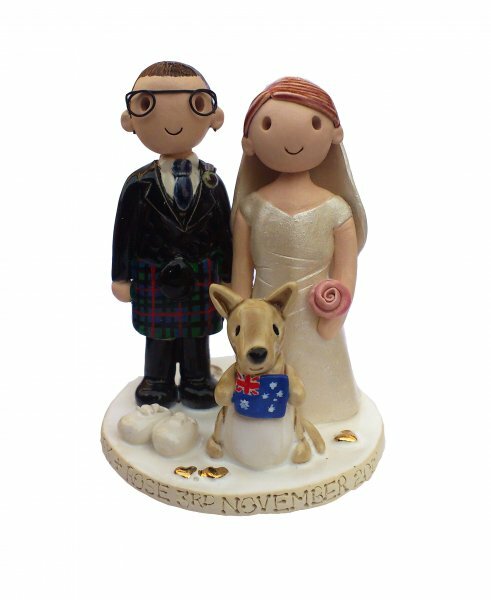 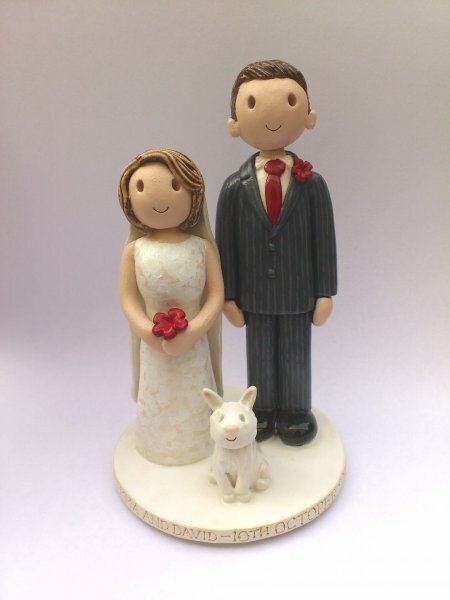 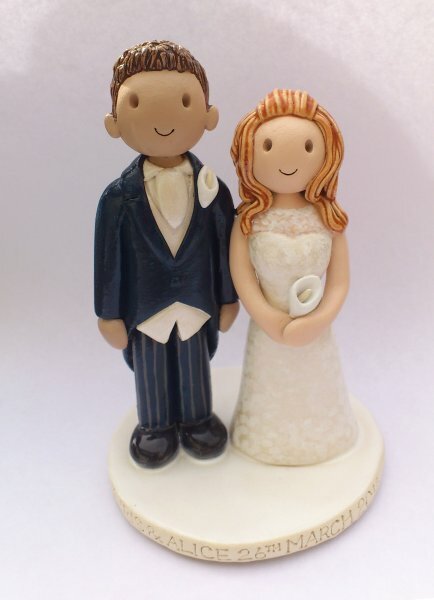 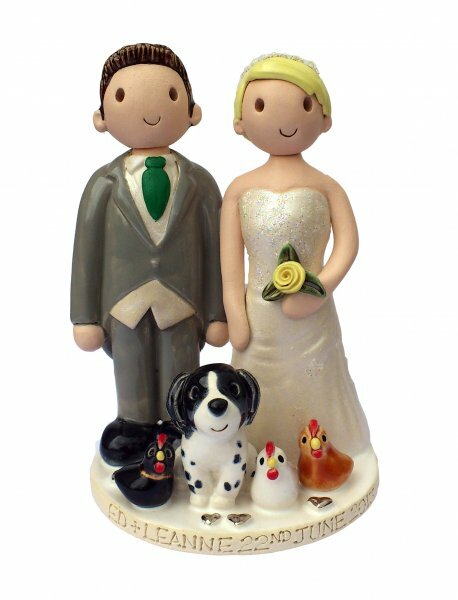 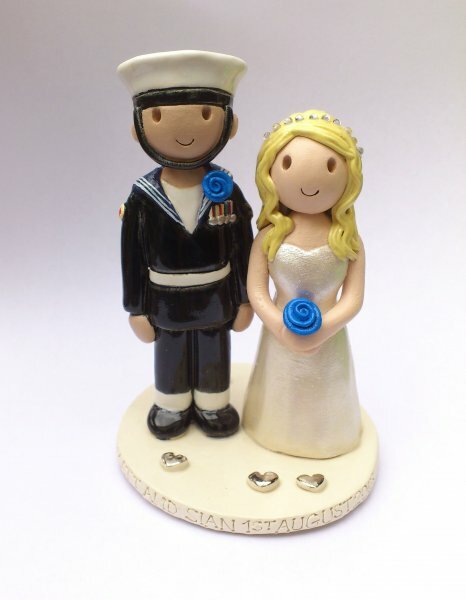 These cake toppers are very popular for weddings, but for a small additional charge can also include additions such as uniforms, kilts, babies, children and pets. 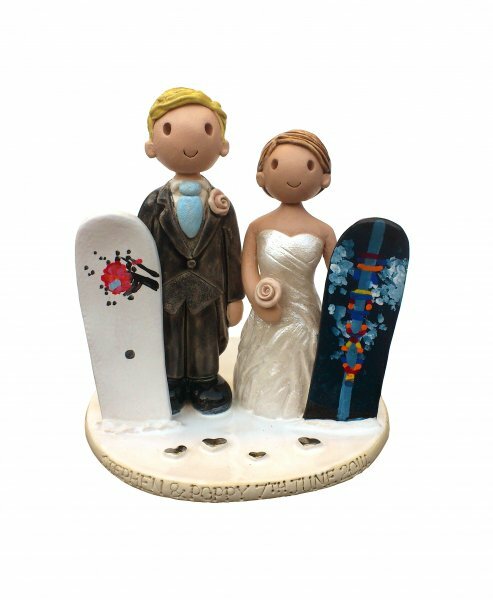 The cake toppers also have the option of engraving, with any names and event date. 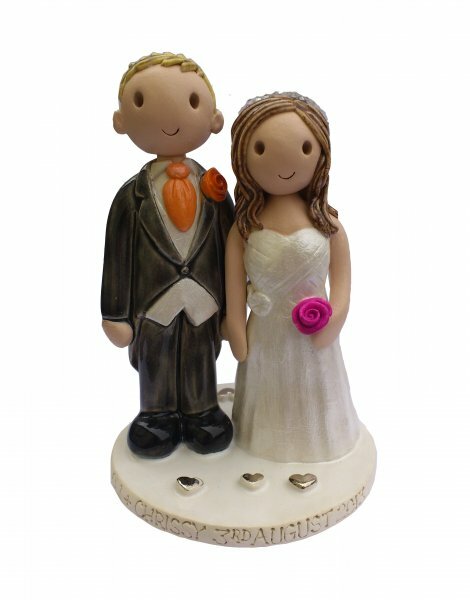 They are a really great talking point, and then consequently an extra special keepsake for you to treasure. 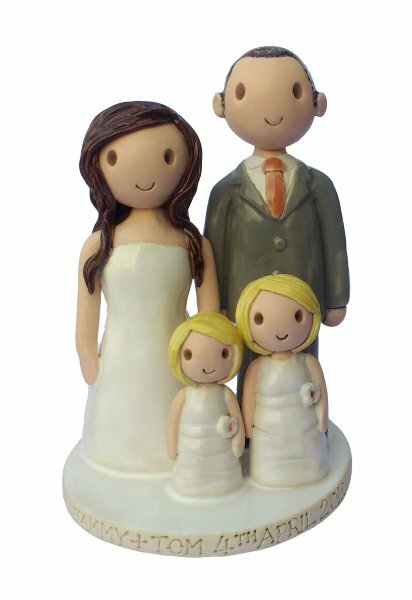 Wedding cakes, birthday cakes or Christening cakes are such a central part of the day, because that’s when friends and family all gather together, making it a really unique memory. 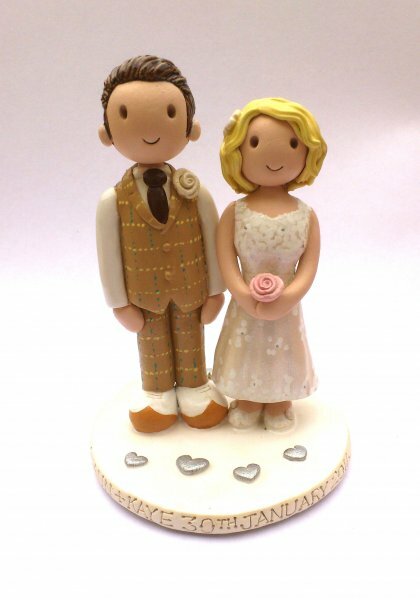 The toppers are a very sweet simple style, that can be displayed on top of a wedding cake, or simply sat beside it. 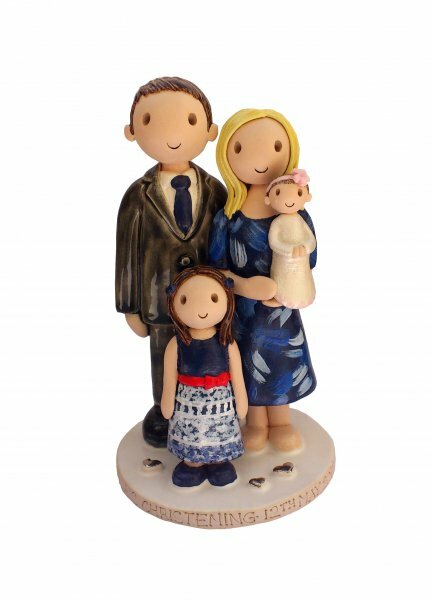 The toppers are also becoming a popular choice for family occasions, birthdays and Christenings especially. 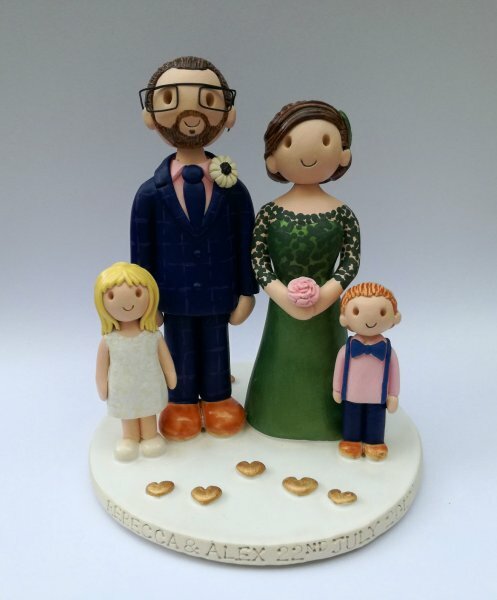 They can be made either as an individual person, or the whole family, and children most of all love it, when they are made wearing their favourite outfits. 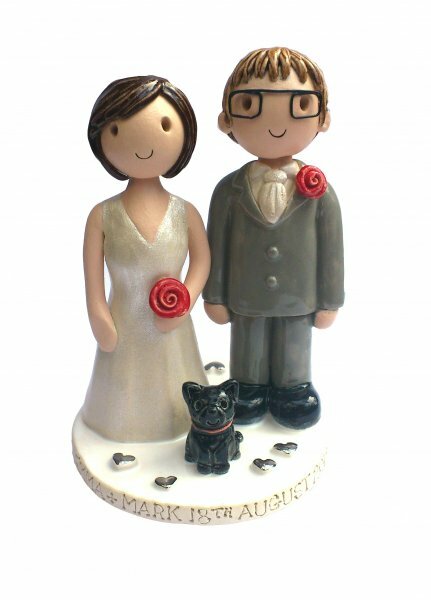 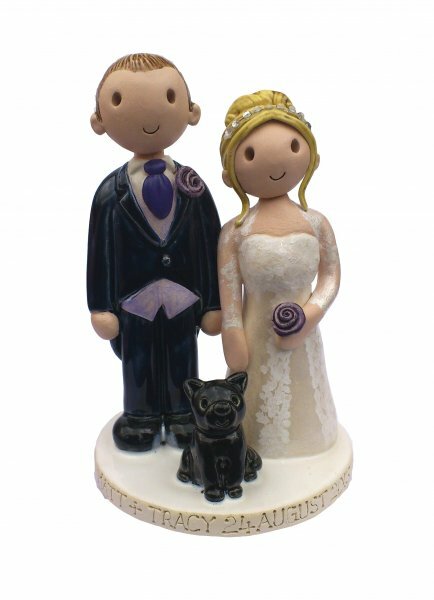 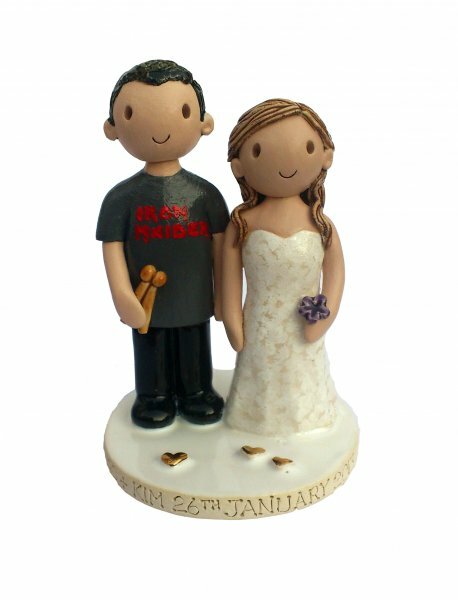 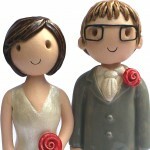 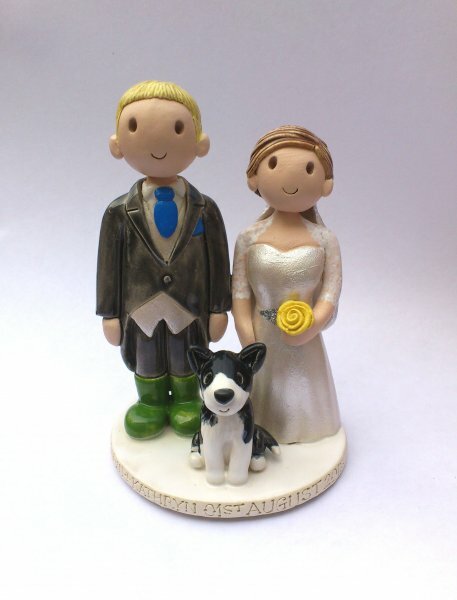 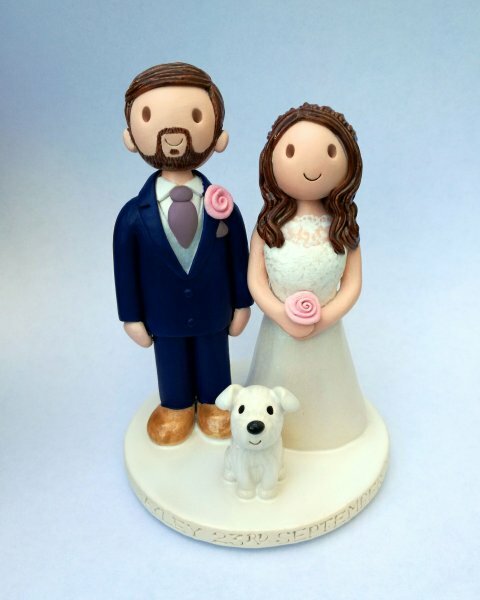 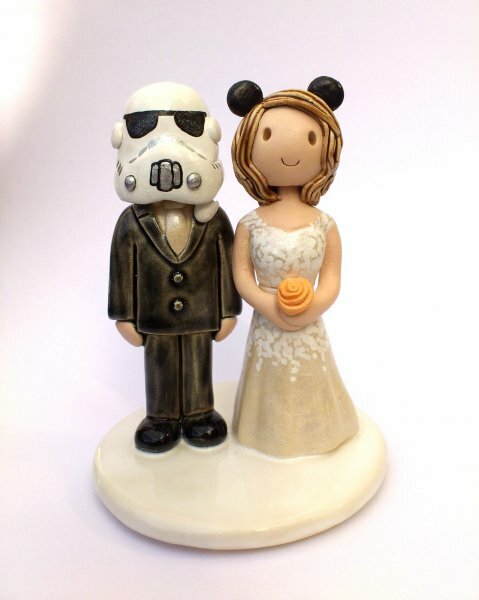 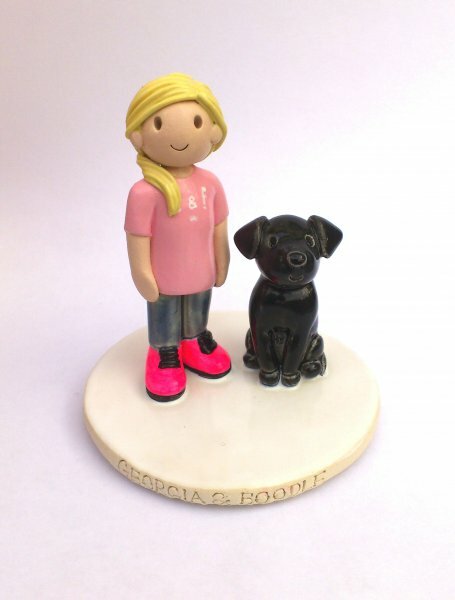 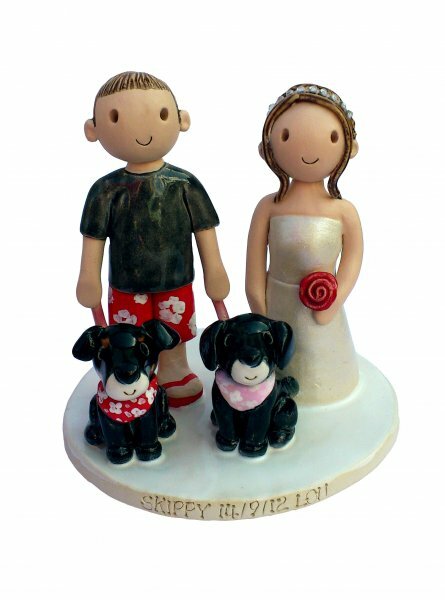 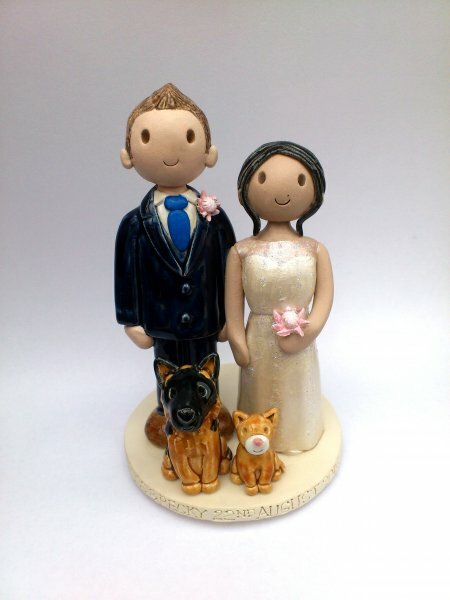 Atop Of The Tier who specialise in larger very detailed cake topper commissions.